Do you find it difficult to stop, relax and allow yourself to just be? Do you find it difficult to say no? Are you constantly trying to keep on top of your health, your relationships, your diet, your energy levels, your career objectives… or social media… and failing? Maybe you struggle with negative thoughts and feelings of anxiety? Or you feel like you never get enough time to recharge when out of work? Can you remember what it feels like to run your life at a ‘normal’ or ‘relaxed’ pace? Can you remember how to play for its own sake? Identify and recover more quickly from your stress responses and triggers. Reveal your patterns of ‘busy’ vs ‘resting’ and empower you to make better choices. Reconnect you to what's important to you. Be more present in your life in a sustainable way. Join actor and embodiment trainer, Rachel Blackman and gestalt therapist and coach, Allegra Salvoni, in this two-day workshop, designed to help you identify and recover more quickly from stress responses and triggers, reconnect you to what's important, get clearer boundaries and be more present in your life in a sustainable way. We live in a world that’s increasingly geared towards 'doing', 'achieving', 'delivering', 'meeting' and 'exceeding' targets… We are continuously focusing outwards, reacting to our peers, our bosses and our social media. And if we live or work in a city, we also have to contend with the additional fast pace and drive - and often aggression - that this brings. Yet somehow we expect ourselves to carry on and carry on indefinitely. Anxiety and stress levels creep up and exhaustion, disconnection, fatigue and depression follow. This is not sustainable. Our nervous systems are not designed to operate in high pressure ‘doing’ mode for such sustained periods of time. We don’t move at digital pace - yet we expect both our mind and bodies to keep pace with the digital age. Collapse isn’t the answer, completing a task isn’t the answer, nor is your peak experience or your big ‘ah-ha!’ moment. A glass of wine at the end of the day, temporarily depresses the whole nervous system, so we feel a numbing of symptoms, but nothing is repaired and we feel low and foggy the next day. Research is now demonstrating that resilience is about taking regular rests and getting better recovery - not how long we can keep going for. We need to learn new ways of creating space for rest, recovery and creativity for its own sake - using resources and tools that support emotional and physical self-regulation. So how do we develop better habits around resting, enjoyment and integration? How do we recover back to ourselves by managing our stress levels? What are sustainable practices of self care that support a healthier life balance? How can we draw on our natural biological resources to rest, recover and enjoy greater ease in our everyday moments? How do we extend these resources beyond simply getting through a task? We’ll invite you to explore, in a relaxed and encouraging environment, tools and skills that help your nervous system to better self-regulate under pressure. We’ll also offer opportunities to work with real life circumstances in work and relationships. And crucially, we’ll give you take-home tools with ongoing support - to help integrate the learning beyond the workshop into your daily life. At the end of the workshop, you’ll be better equipped to notice when you are over-doing it - and change things before it’s too late; you’ll be able to better self-regulate around stressful situations; and make small daily changes to your routine that can make a huge difference to your mindset and your capacity to genuinely chill out. ‘Check in’ and test your assumptions. Letting go of having to hold ourselves up - befriending the floor. Our body and breath as resource. Intention setting: creating conscious and choiceful experiences. Learning to follow ease rather than tension as a learning path. Bringing yourself to quiet - the space at the end of the exhale. Using the voice to ground ourselves. Contact and touch as a listening tool - how do we invite contact that is in support. Relationships as resources: how another can support self-regulation. Actor training tools: winging it - improvisation as an antidote to perfectionism. Boundaries - how to know where they are and how to set them. Imagination and play - wonder as a healing tool. Peer-to-peer buddying for ongoing integration and application. Two live workshop days, one week apart, introducing you to easy-to-learn practical tools to effectively relieve stress. Expect these to be fun and restful with opportunities for depth, laughter and sharing. Expert guidance from two leading wellness professionals. Take-home practices to make chilling out more accessible. A buddying system to support you between the workshop days and beyond. A free post-workshop webinar with Allegra and Rachel for application and integration. The offer of two half price coaching sessions with Allegra or Rachel for ongoing support and integration. Anyone with a body. Seriously, this work will suit anyone with a desire to create personal change in a new way. Fitness levels are unimportant. We invite you not to take our word for it, but test to out our suggestions and take home what works for you. Stress can arrive in many forms and the circumstances that trigger us vary. Emotional, psychological, injury, impossible deadlines, workload, whatever it is for you, these tools will provide practical and relevant support. You might feel stuck in a rut, or you may just feel curious about how to feel more relaxed or happy. Everyone can benefit. The exercises are simple but effective and can be adjusted to suit everyone's needs. Please note that this work is therapeutic, but not therapy itself. Our work is trauma sensitive, however this workshop is not a replacement for trauma therapy. If you have any concerns about whether you may be suitable for this work, or if you are working with a diagnosis of post-traumatic stress disorder (PTSD) of any kind, please get in touch for recommendations. Allegra Salvoni: Experienced therapist & coach, whose interest & work with trauma has brought her to delve ever more deeply into exploring the embodied experience of healing. Rachel Blackman: Works as a theatre maker, creative consultant, somatic educator & therapist. 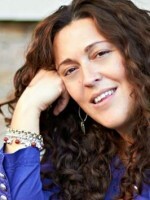 She facilitates groups in therapeutic, creative & transformational contexts.